Facebook will begin construction of a 970,000 sq. ft. data center at the Sweetwater Industrial Park in Eagle Mountain, Utah. 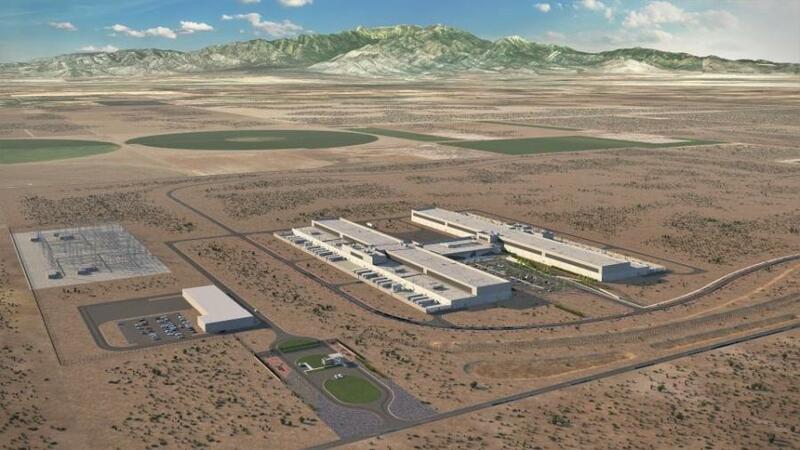 Eagle Mountain City, together with the Governor's Office of Economic Development (GOED) and the Economic Development Corporation of Utah (EDCUtah) announced on May 30 that Facebook will begin construction of a 970,000 sq. ft. data center at the Sweetwater Industrial Park in Eagle Mountain, Utah. Facebook's investment includes more than $100 million in infrastructure, including a new electrical substation that will bring 1000 megawatts of new power delivery capacity to the region to support additional economic development in Eagle Mountain and the surrounding area. The data center would be powered by 100 percent, net-new renewable energy through utilization of Rocky Mountain Power's available renewable energy tariffs. Facebook will purchase its own water rights and construct the required water infrastructure. The data center facility is designed to be incredibly water-efficient and will reuse water multiple times. The data center in its first phase would increase property tax currently collected for the 490-acre site by 12,000 times. The project represents a $750 million investment in Eagle Mountain, and will benefit the city, Utah County, Alpine School District, Central Utah Water Conservancy District, and Unified Fire Service Area. The Facebook data center is expected to employ 30 to 50 people full time, with potential for more contract workers. This modest increase in employee headcount is appealing to Eagle Mountain City as it will not significantly impact local resources such as schools, fire and police services, or traffic in the rapidly growing area recently ranked by Census data as the fourth fastest-growing city in Utah. Over the past decade, Eagle Mountain City has developed and executed a master plan of leveraging data centers to build its tax base and economic foundation. City officials have worked with GOED, members of the state legislature, EDCUtah and Utah County officials on this Facebook data center facility and see it as a big first step to turn Eagle Mountain and Utah County into a hub of activity for the data center industry in the Western United States. Construction will begin this month and the data center is expected to come online in 2020. For more information, visit eaglemountaincity.com, edcutah.org and edwards@utah.gov.